If you play video games, you know Blizzard Entertainment. If you don’t, please allow us a brief introduction. Blizzard is one of the world’s leading interactive entertainment companies. Their titles include Overwatch, World of Warcraft, Hearthstone, Diablo, Starcraft, and Heroes of the Storm. Consistently appearing on Fortune Magazine’s 100 Best Companies to Work For list, Blizzard expects world-class performance from their team and gives them the support to make it happen. Among such support programs, Ikazuchi Dojo has had the honor to operate aikido and weapons classes five days a week on the Blizzard campus. In early 2017, Blizzard built The Moonwell Dojo providing us with a dedicated place of practice. We love training with the Blizzard team and are always seeking ways we can contribute to their organization in relevant and meaningful ways. This photo journal tells the story of one of the ways we used our resources and expertise to create a new event designed to increase the impact of Blizzard’s Service Award Program. When a Blizzard employee reaches five years of service, they are given a sword. Blizzard enjoys an exceptionally low turnover rate and countless blades can be found gracing the walls of the corporate campus. Ikazuchi Dojo was excited to work with Blizzard to create a special experience for those receiving their sword. We crafted an event designed to give the team an authentic and powerful experience in swordsmanship. For the group that experienced the program, their swords now have a deeper meaning. We hope they can not only enjoy the artistic beauty of their swords, but also understand it as a potent instrument of good and evil, with the power to preserve life or bring death. 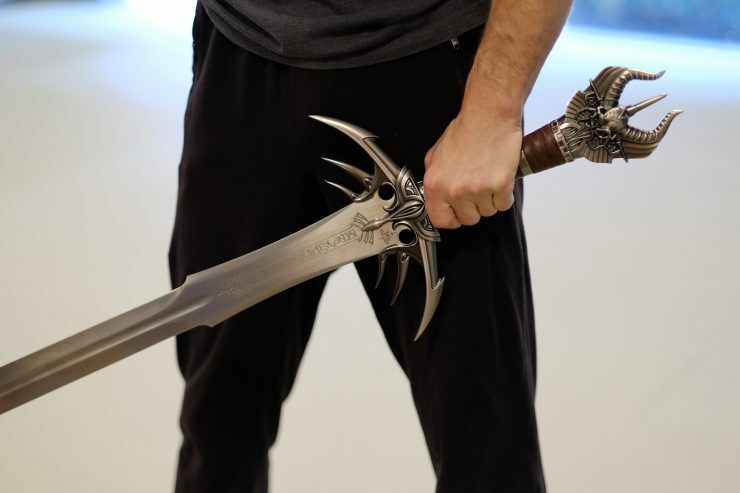 When we put a blade in their hands, we wanted to make an authentic and meaningful connection between the epic fantasy worlds they create and the world of budo. You Earned the Sword. Now Learn to Wield It. We challenged ourselves to take a group with no prior martial arts training, introduce them to bladed weapon fundamentals, train them to execute a series of attacks and defenses, and give them the experience of paired sword combat, all within one hour. This photo journal highlights some key elements of the experience. Our mission: After some Blizzard team members leveled up, we helped them unlock bladed weapons skill, level 1. We first gave them a bladed weapon overview, showed a range of short and long blades, and explained differences among weapon types. We showed highly specialized weapons like the karambit and kukri machete, as well as well-rounded battlefield weapons like the katana and their own personal swords. We showed a range of sword postures and talked about the similarities between Japanese and European sword postures. “Waki-gamae” in Japanese swordsmanship is sometimes called “side guard” or “long tail” in European sword fighting. After an overview with live blades, it’s time to move. 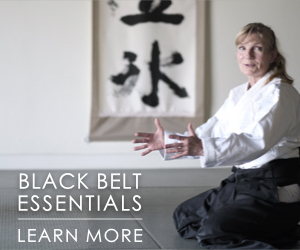 We transition to wooden training swords (bokken), learn how to hold the weapon, and introduce a set of basic offensive and defensive postures. After seeing a demonstration of the power of the sword, the team is initially tentative when we put a training weapon in their hands. Josh Gold and Karen Kim from Ikazuchi Dojo familiarize the group with important targets and lines of attack. The team gets comfortable with the training blade and learns to flow from a deflection to a counter-attack. Focus and confidence emerge. After gaining a baseline proficiency with a small set of attacks and defenses, we move on to paired training. We put together a scripted combat engagement using the trained attacks and defenses. With carefully crafted training parameters, everyone is safe, has a blast, and gains some genuine sword-wielding skill. Fine tuning angles of attack. Using the same basic footwork and positioning tactics as the first kata, we substitute in a new angle of attack and defensive response. The team’s movements become more natural and fluid. We help each pair find a speed and intensity level that allows them to have fun and be safe, but that also demands awareness and focus. With a new understanding of the blade, we give the sword to each person, one at a time, and clear space for them to move safely with the weapon. Josh and Rick reviewing details related to the facing of the cutting edge during a deflection. Karen transitioning through a series of guard positions. The sword is as heavy as it looks, but she can control it. After only one hour, Ken looks like a Level 100 Warrior. 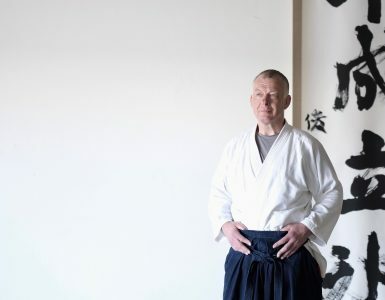 Ikazuchi Dojo viewed the design of this event as a challenge. One can spend decades refining a student’s techniques and movements, but we had just one hour to teach this group to wield a sword. We architected the training progressions to build just enough competency with each movement to allow us to put together a fairly complex choreographed combat sequence that could be executed cleanly and safely. We limited the scope of movements learned, but then showed the team how to assemble them in different ways to form a range of attacks, defenses, and combinations. Any details not directly related to the safe execution of our combat sequence were stripped out. 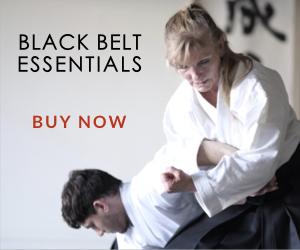 This is a far different instructional challenge than developing martial artists over a multi-year or multi-decade time horizon. We wanted to infuse the event with an authentic budo spirit, allowing the group to see the speed and intensity of higher level practice, and to feel the sincerity and focus of a trained swordsman and swordswoman. At times, I pushed Karen to the edge of her limits during the demonstrations. We also made sure to show another side of the path of a martial artist – building friendships, experiencing the joy of the training, seeing the elegance of the physics and biomechanics behind the martial arts, and feeling the deep satisfaction of personal growth and development. Lastly, we believed that it was critically important to capture the event with photos. We wanted to be able to show the story of the event and the transformation of the participants. We also knew the sword would look amazing if we were able to capture its image correctly. 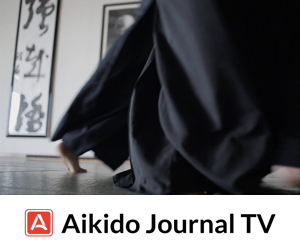 Anne Lee, who’s recently been serving as a photo journalist for Aikido Journal, was kind enough to cover the event. We ended up with nearly 100 great photos that were given to the participants. The photos in this journal are just a few from the collection. The sword is also a hero in this story. With feedback from the participants and our own assessment, we’ve already discovered ways we can improve the experience and created an updated format that integrates some subtle but important improvements. We are grateful to have the opportunity to train with the Blizzard team and introduce them to the marital art of aikido. The individuals on their campus are some of the most talented in the world and their corporate culture is one to be respected and learned from. We’re delighted we can use the resources and experience of our dojo to train the Blizzard team as martial artists and to create unique experiences and special events for their community. A special thanks to William, Tom, and Kim, the team that runs Blizzard’s service award program. Kim (pictured here) was an NPC (non-player character) in this adventure (she wasn’t wielding a sword), but was instrumental in the successful planning and execution of the event. Looks like everyone had fun. From a fledgling Aikidoka and a former WoW player, bravo! Well done! Well done!!! 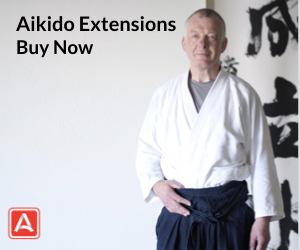 Pure Aiki atmosphere where everybody learns from one another. Congrats!!! That looked like it was a lot of fun and rewarding for both you and the participants.